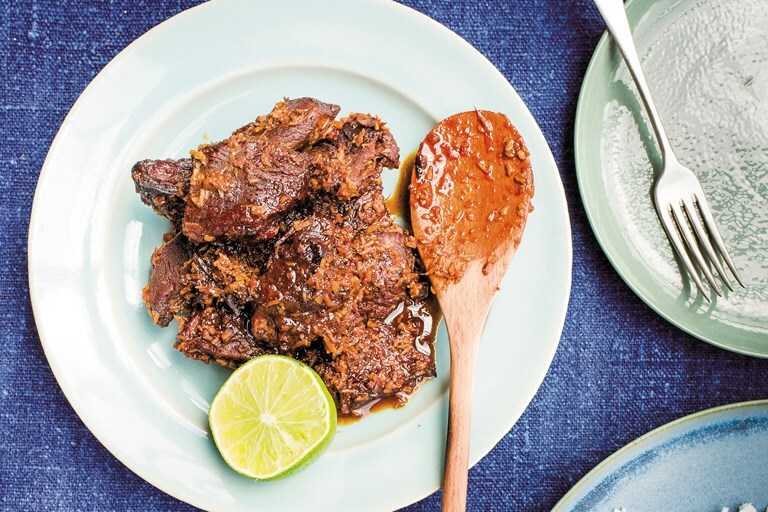 This beef rendang recipe is packed with flavour from umami beef, soy and fish sauce, fragrant ginger and lemongrass and a blend of heady spices tempered by coconut. This beautiful curry recipe is taken from PRIME: The Beef Cookbook by Richard H. Turner, published by Mitchell Beazley. Photography by Paul Winch-Furness. A caramelised curry dish from West Sumatra in Indonesia, reckoned to be one of the most delicious beef dishes on the planet by a CNN poll. Originally used as a method of preserving excess quantities of meat, this dish has spread throughout Asia due to the migrating culture of its originators, the Minangkabau.